A Home Medicines Review is a consumer-focused collaborative service used to assist the quality use of medicines. The HMR involves a GP consultation to generate the referral, and a pharmacist interview with the patient (it is preferable that this occurs in the patient's home), and a clinical assessment by the pharmacist and a written report back to the GP. An HMR will provide comprehensive, up-to-date information about the medicines, complementary products, over-the-counter medicines, devices and other prescriptions being used by a patient. A patient will receive assistance with medications, aids and devices to improve compliance, and early detection and management of medicine-related problems. GPs are able to participate in the Home Medicines Review program designed to improve the quality use of medicines by patients in the community. A Home Medicines Review (HMR) is a Government funded, consumer-focused, collaborative service involving both GPs and community pharmacists. 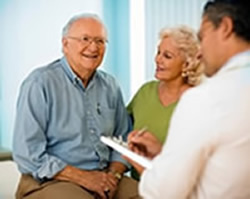 The process (Medicare Item 900) involves two consultations for the GP; one to identify potential patients and arrange the procedure, and a second consultation after the pharmacist’s visit and report to discuss the findings and implement any action. It also requires the GP and Pharmacist to discuss the clinical report, where appropriate. A copy of the Medication Management Plan is provided to the patient and the community pharmacy. An experienced pharmacist who has undertaken specified education programs or examinations, approved by the Australian Association of Consultant Pharmacy (AACP) or the Society of Hospital Pharmacist Australia (SHPA. Continuing specified professional education and re-accreditation. The HMR service is not available to in-patients of a hospital, day hospital facility or care recipients in residential aged-care facilities.